Hold up, hold up, hold up. There is actually a Game of Thrones restaurant in Scotland and we are SO booking a flight there ASAP. Okay, maybe not right away, but it’s definitley on our bucket list. 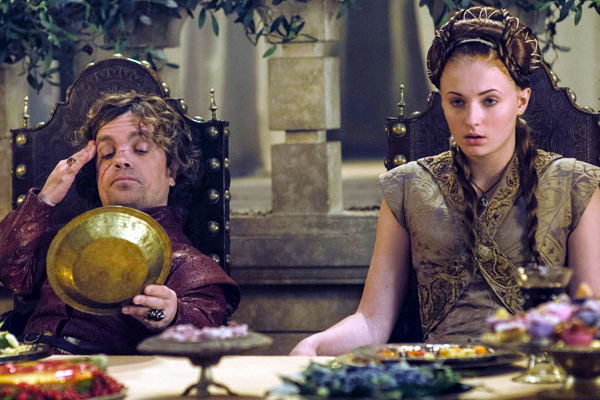 In case you didn’t hear us, there is a Game of Thrones restaurant. It actually exists and every GOT fan should start saving now so they can dine like Starks — or whoever your favorite character is. Throughout the series, we’ve seen a lot of drinking and feasting and some terrifying dinners as well, but this pop-up establishment blends all the good food parts together. Since everyone is stuck waiting for Season 7 to premiere, why not focus on this amazing restaurant instead? Thanks to event producers, The Pop-Up Geeks there is finally a Game of Thrones themed bar…complete with mulled wine and show props. The only real catch is that it’s in Scotland. It’s in Edinburgh, Scotland to be exact, taking over as a temporary pub called Blood and Wine. Seems fitting for all-things Westeros, don’t you think? “Our Maesters have sifted through scrolls, trawled through parchments and painstakingly sampled the many wines, ales, spirits and infusions found within the pages of George R.R. Martin’s epic A Song of Ice and Fire series to source only the finest that the Seven Kingdoms have to offer,” the site explains, about its origin. "So come along and taste your way through the Seven Kingdoms but remember, when you play the 'Game of Thrones,' you drink or you die." What better way to keep the White Walkers away than with whiskey at the Blood and Wine? We bet they’d even let you watch the series while drinking a pint and eating meat pies. The pub is only open on Wednesdays and Thursdays from now through February, so you better book your trip as soon as you can!